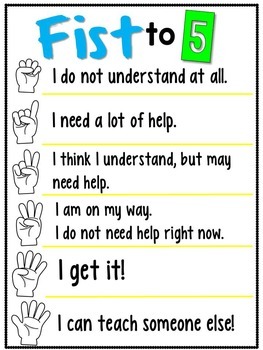 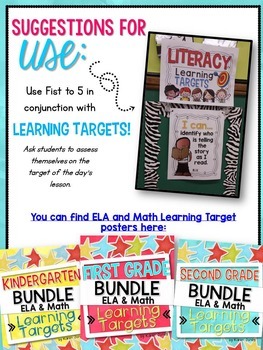 Fist to 5 is a simple, yet effective strategy that you can use in your classroom every day and with any topic or subject area. 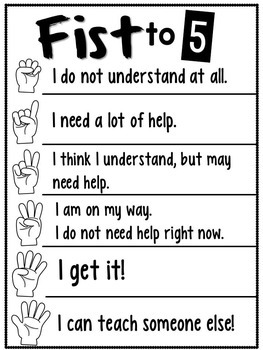 It allows students to reflect on and assess their own learning, to quickly give you an idea of how they feel they are doing, and it works seamlessly in conjunction with Learning Targets, or “I Can” Statements. 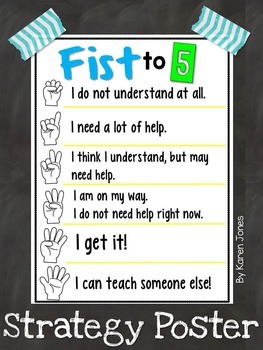 This download includes this Fist to 5 poster in both color and black/white.